We often think that our children are too young to put into kindergarten. 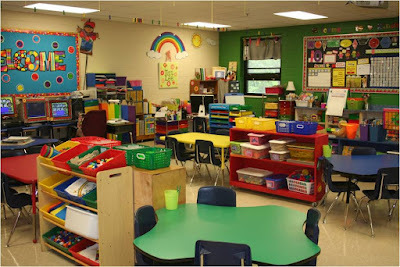 But if you take a closer look at the way quality kindergartens are designed, you will see that they are a great place for your children to develop both academically and emotionally. Here are the 5 reasons why you should not waste a single second anymore and put your child in a kindergarten. In order to be able to learn at kindergarten, a child must develop a relationship with a teacher or caregiver. This is the right thing for a child to do since this is the opportunity to spend some time away from parents and build some new relationships outside the family. 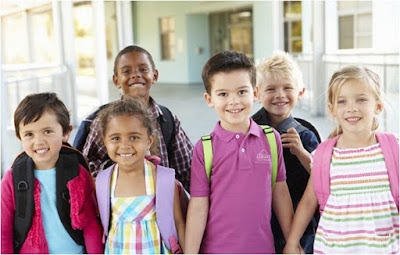 High-quality kindergartens also make sure that a child bonds with classmates. Such quality kindergartens also send reports to parents about both academic and social progress their child is making. Even though they might not notice it, children are learning all the time while they are in the kindergarten. Even when no activities are being done, children are still offered a chance to develop their responsibility. This is why most of the kindergartens have a hamster or a fish tank in the classroom. It is always someone’s responsibility to feed them or clean their tanks. They are also asked to set the table at the snack time and to keep their things in their own locker. All of this helps them learn how to take care of themselves. While they are at kindergarten, children’s physical coordination also improves. High-quality kindergarten always makes room for activities such as running, climbing or play some active games. This is how they stay in motion for a big part of the day. These are not the only sets of motor skills children are given opportunity to improve. They also cut with scissors, glue and draw. Practicing all of this also helps them improve their motor skills. Between the ages of 3 and 5 a child learns from 900 to 2500 new words. Sentences a child begins to use become longer and more complex. Kindergarten teacher is responsible for asking questions that provoke thinking and giving a little bit more complex response. Teacher also introduces new vocabulary every single day during any type of activity. Children are also given the opportunity to sing, read out loud and sing. Around the age of 4 a child starts to be interested in some skills that are socially approved by the adults. For example a child wants to be able to read the instructions on a toy box, read a story or give the right amount of coins back when pretending to work in a store. Kindergartens offer a variety of activities that help children improve their pre-math and pre-literary skills. This is why they are presented with songs and stories they are supposed to read. They also play certain board games where there is a lot of counting and matching. If you choose a kindergarten that offers quality services and takes proper care of your child you do not have to worry how much your child will benefit from it. The program is designed in such a way that all of the above mentioned skills are practiced on regular basis.